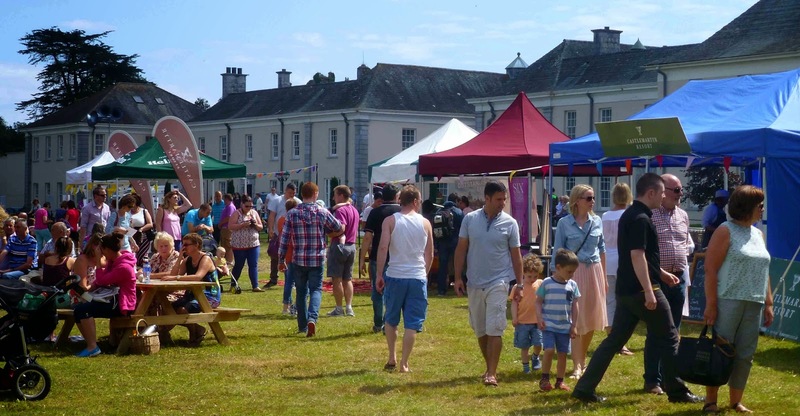 The Castlemartyr Resort was the place to be in sunny East Cork last Monday (yesterday) and I joined the thousands that flowed through the gates to enjoy the John Saul Picnic and Vintage Festival in aid of the East Cork Rapid Response and other local organisations. After parking (no shortage of stewards to help out), I enjoyed the walk through the grounds and past the castle ruins before coming round to the front of the hotel, finally reaching the fields in front where much of the action was taking place. 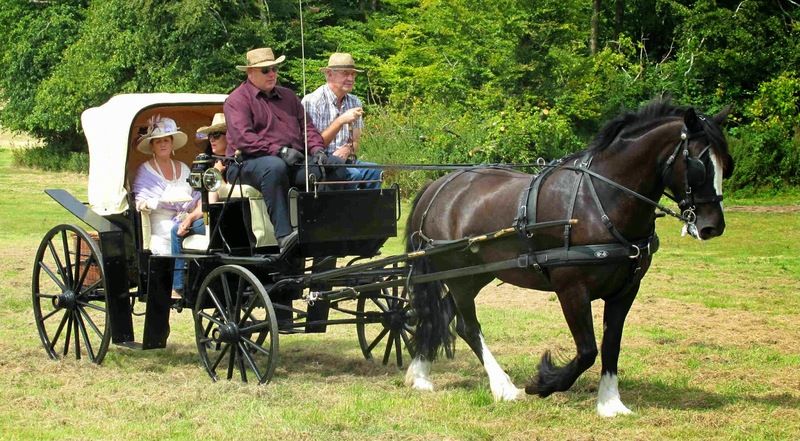 The first big event that I saw was the parade of horses and carriages, each carrying a “Victorian” lady or two. The parade entered the grounds having first toured the village and then passed the front of the hotel before doing the rounds of the fair fields. And that wasn’t the end of the horses as we were treated to quite an exhibition, the well turned out animals put through their paces. 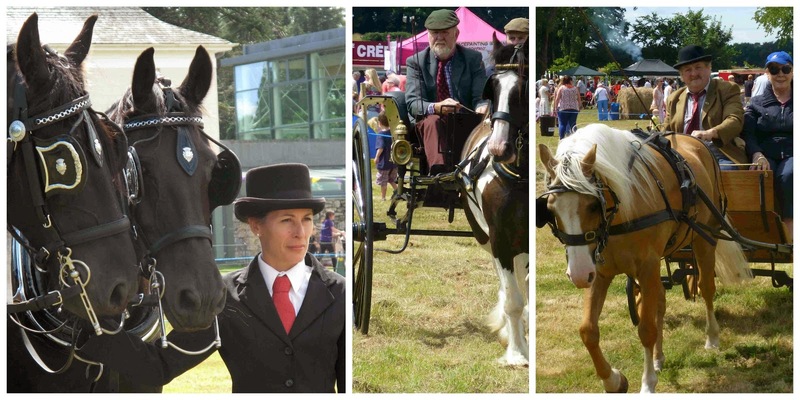 Great discipline on display from the various units, ranging from some with just one pony to larger carriages with up to four and indeed it was one superb combination, with the four blacks together, that was a highlight for me. Lunchtime was fast approaching. Unlike some, particularly the family groups, we hadn’t brought our picnic. But no panic. We were in the right place with a good variety of stalls catering, everything from crepes to pulled pork available. 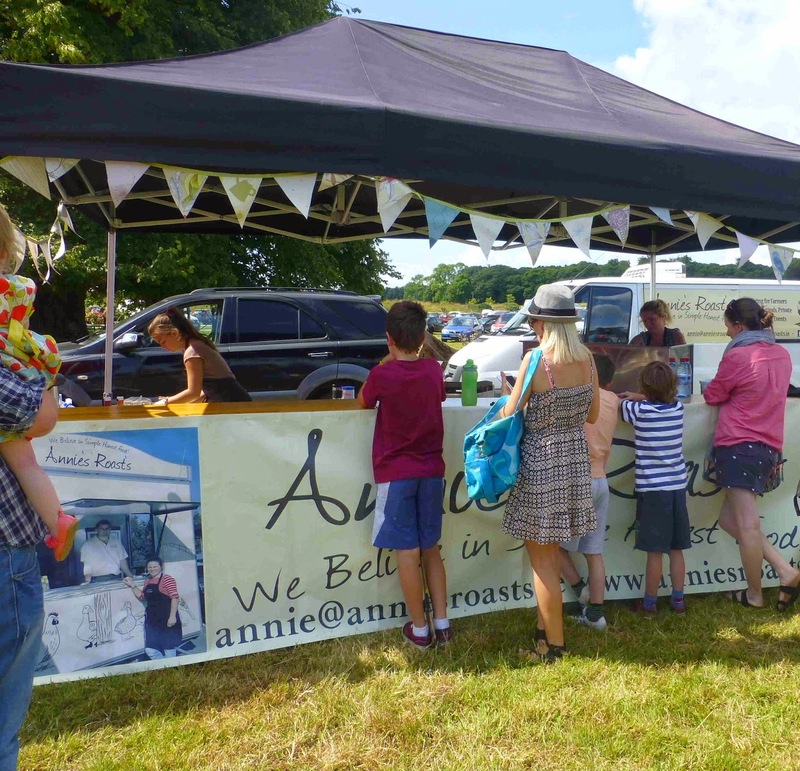 Spotted Annie’s Roasts in the line-up and didn’t go beyond her as she has a great name at markets and festivals all over the county. Helped myself to one of the free range chicken burgers with salad and mayonnaise and a drink, all for a fiver. Grabbed a bale of straw as a seat and tucked in and enjoyed it no end. Great stuff as usual from Annie. Annie's Roasts. No picnic? No panic! As we ate and drank we were entertained by the the kids in the face painting tent, one of the most popular venues of the day. Indeed the kids were royally entertained throughout with foot races for various age groups, pottery lessons, a Teddy Bear hospital, and other amusements, such as swing-boats and carousels available. 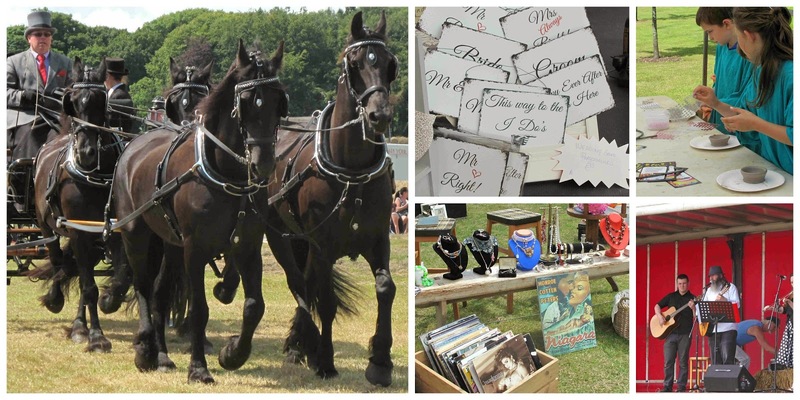 Le Chat Noir Vintage Fair was also a major draw with specialists in clothes, jewelry and music and song (all on vinyl) displaying their wares, some new, some old, but all reminding one of times past. Noticed quite a few of the “Victorian” ladies checking out the stalls here! Some toys too for the bigs boys! 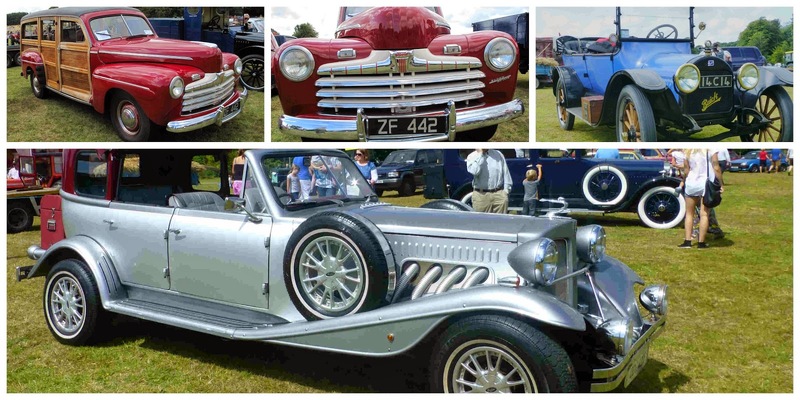 I’m talking vintage cars here. Everything from modest Volkswagens to big red Fords. There was an impressive Buick but my favourite was the Silver Beresford, a top class limousine according to the sticker! One of the highlights of the day was the old time threshing, a busy spot with a bunch of small tractors around the big thresher and not a bottle of porter in sight. Could have done with some liquid though as the chaff in the air dried out the mouth. 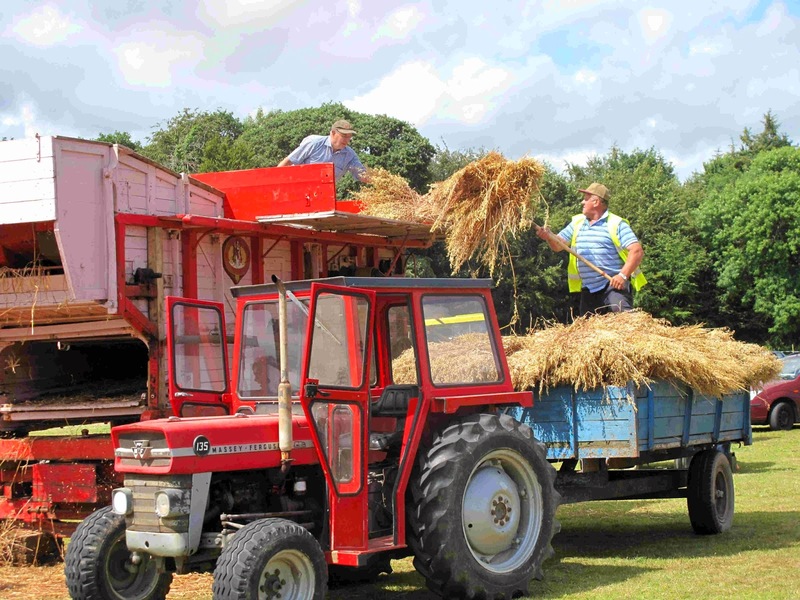 But great fun (great noise too, giving the band a run for its money) as the sheaves were tossed to the man in the thresher and the grain came out one end to be bagged and the straw out the other to be baled by an old Allis Chalmers Roto-Baler. Hard work for the crew here but great fun for the spectators, many of who had never seen anything like it. All in all though a terrific day out and if you are a parent with kids, put this in your diary for next year.